Far too many organisations appoint project managers with far too little definition of what the specific role and responsibilities of project managers are. Too often, you see little more than “to deliver the project on time and within budget”. While those words are true, they are no more than the goals of project management and are not the specific responsibilities of a project manager. When (new) project managers find out gradually what their real responsibilities are this typically leads to issues itself. Sometimes major ones. Even worse, it can result in people being selected or appointed to be a project manager, who are not best suited to this role. Quite possibly, not suited at all. Assemble 10 project managers in a room from the same business, draw up a broad range of potential risks and issues on a project, and ask them to comment on whether they are responsible for resolving them. You will be amazed at the variation in responses. In recent months, we were requested to facilitate a series of ‘off-site’ coaching days for all the project managers from an IT firm. Their customer projects ranged in value from £10-50 M. All sessions were very carefully scripted. At one point, we had 27 people in the room who were all either project managers, Senior PMs, Programme Managers and a couple of Project Directors. We asked them to respond (anonymously) to one single question without debate, in yes/no terms. No other people from the customer firm were present to encourage a free and open discussion. The question was “do you believe project managers in your firm are responsible for delivering their customer projects, on time and within budget.” Please answer yes or no. Of the twenty-seven, two people answered “yes”. This is not an isolated example. Whenever we have done this the results are similar. 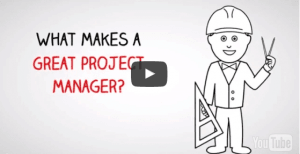 Project managers must behave as if they are responsible for the project’s success. Project management methodologies that do not reflect this, can easily result in an environment where issues fester and cost and schedule overruns are common place. If the desired behavior does not happen, you most likely have project coordinators, not project managers. When there are issues, project managers must never shy away from highlighting them and managing their resolution. Regardless of what they are. So how do we reverse or prevent this? We have to define, in practical terms, what the actual responsibilities and accountabilities of project managers are in our business. One tip also is to avoid simply using boiler plate from any source to do this. Someone has to sit down and really make this a practical exercise with real purpose and benefit. Also, avoid using expressions like they are responsible for the “day-to-day management of the project”. They are responsible for: “the project”. Then, we need to have a plan and a strategy to develop great project managers in our business, who thoroughly understand and are truly motivated by this role. Our next post will address the practical responsibilities and accountabilities of project managers.